Coinbase, one of the most visible companies in the bitcoin space, is making a strong bid to expand in Europe as it attempts to grow in new markets outside the US for the first time. In recent weeks, Coinbase has opened its service to residents of 18 European countries, including bitcoin hotspots like the Netherlands, France and Sweden. The company also sent its founders, Brian Armstrong and Fred Ehrsam, on a four-country tour of Europe to meet customers and promote its API to developers. As part of this public relations initiative, Armstrong participated in a coveted onstage interview at TechCrunch’s first conference in the UK, a much-hyped confab that assembled the continent’s major investors and technology entrepreneurs. “Bitcoin is inherently global and I’ve always wanted Coinbase to be less US-centric,” Armstrong told CoinDesk. Coinbase’s European push will ultimately put it in a contest with BitPay, which it competes with in the US market for merchant accounts. Though BitPay has enrolled billion-dollar merchants like NewEgg and TigerDirect, Coinbase has arguably had more visible success partnering with major merchants, with its most recent customer being Dell, the bitcoin ecosystem’s largest merchant by annual revenue. Things could play out differently in Europe, however, which Armstrong identifies as an important source of growth. BitPay has been building its European operations for the past year, and the market has emerged as a central part of the company’s business. Moe Levin, BitPay’s director of European business development, said European merchants account for 40% of the firm’s customer base. “It’s our fastest growing market,” he added. Levin’s Amsterdam team, more than 10 executives, must brace themselves for the heightened competition that Coinbase will bring once it begins to woo European merchants to its platform. Its top performing European merchants are Takeaway.com, Destinia and Air Baltic, according to executives at the company. Competition for European merchants will come, as Coinbase intends to target European merchants after it has assembled a base of individual users for its wallet and bitcoin-buying service. Armstrong says this user-first strategy is what worked for Coinbase in the US, and it’s something that he will replicate in Europe. Armstrong hinted that the next big-name merchant to sign on with Coinbase would be on-demand service Uber. He told a packed room at the Coinscrum meetup in London, which his company sponsored, that he began talking to Uber after signing up the payment processor Braintree, which the on-demand company uses. “I can’t promise that will happen. It hasn’t gone live yet,” he said, in response to an audience question. Notably, the UK is not on the list of Coinbase’s new markets. It sent an email to users on 15th October announcing that it is “now available” in the UK, which Armstrong says was a mistake. Users in the UK cannot buy and sell bitcoins on Coinbase. Onstage at the TechCrunch conference, Armstrong said Coinbase intends to sign 10 European merchants with more than $1bn dollars in revenue next year. This time, however, Armstrong believes his 65-strong team has “perfected” its merchant acquisition process. “We have this ‘merchant engine’ that we’ve perfected, and hopefully we can do the same thing in Europe,” he told CoinDesk. Still, Levin was at pains to stress that although his company and Coinbase are in the business of acquiring merchants, the bitcoin industry is young enough for both firms to grow without coming into conflict with one another. Beyond the battle for merchant transactions, Armstrong repeatedly mentioned Coinbase’s new API, Toshi, in an interview with CoinDesk and in public presentations in London, signalling his company’s ambition to become a platform for developers. Armstrong told a packed room at Coinscrum that his firm had spent $2m to build up its developer platform. Coinbase’s website lists 44 apps that use its API currently. Companies like BlockCypher, Chain and Gem are also trying to make developing bitcoin applications easier with their own APIs. 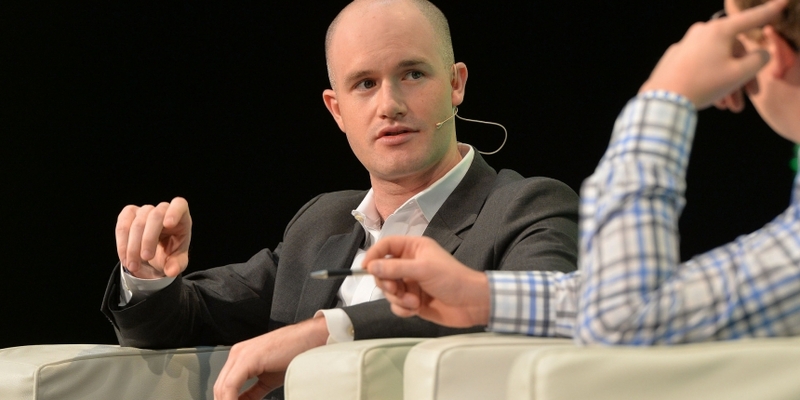 Beyond Europe, Armstrong says Coinbase is looking to the ‘unbanked’ as source of future growth. But expansion plans could be hampered by ongoing government attempts to construct a regulatory framework for bitcoin businesses. Armstrong says he’s undisturbed by the US government’s efforts to devise regulation for bitcoin companies like his.